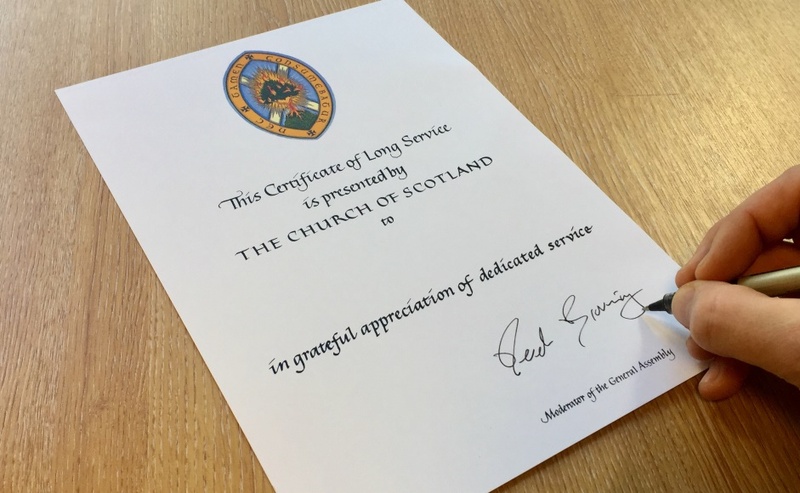 A couple have been recognised for giving more than 100 years of service to the Church of Scotland between them. Don and Alice Barrie have played key roles at what is now Black Mount Parish Church in Dolphinton, South Lanarkshire for 51 years and 60 years respectively. They were presented with long service awards from the Moderator of the General Assembly, Rt Rev Susan Brown, and a special party, complete with cake, was held in their honour on November 4. Minister, Rev Mike Fucella, said the couple, who live in Biggar, serve with cheerfulness and deserve a “big thank you”. Mr Barrie originates from the village of Elsrickle and his wife is from nearby Lamington. They both come from farming families and both their fathers were elders in their respective parish churches. Mrs Barrie’s father, William White, was insistent that she and her sister Isobel take music lessons from an early age. At the age of 13 when the organist at Lamington Church married and moved away, she was persuaded to stand in and she has never looked back. Mr Barrie was ordained an elder at Elsrickle Church in 1967 at the age of 24 and served as treasurer. After the churches in the villages of Dolphinton, Dunsyre, Walston and Elsrickle merged into one - Black Mount Parish - he was made Session Clerk. In 2008, Mr Barrie played an instrumental role in helping with the refurbishments of the church building in Dolphinton. As well as their church duties, the couple successfully ran Howburn Farm and raised five children, Alison, Gillian, Linda, James and Andrew. In 2001, they retired and moved into Biggar where they are kept busy maintaining their garden, considered to be one of the finest in the town, and helping out with their five grandchildren. 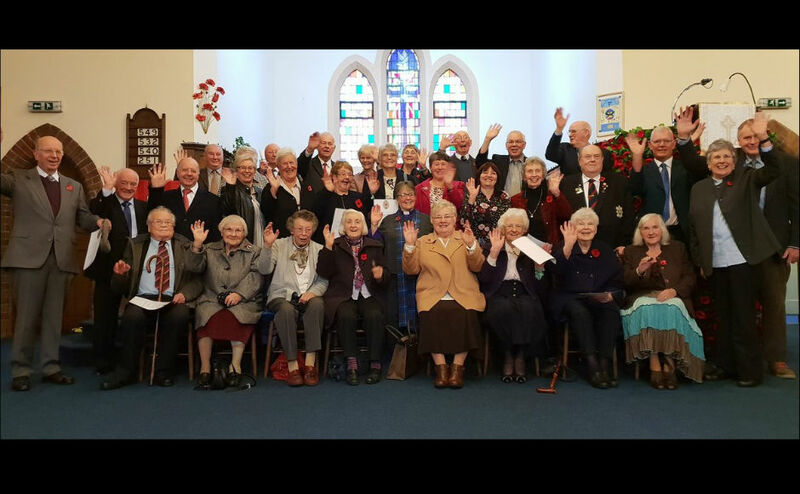 Mrs Barrie, who leads the church choir and helps out with occasional services in local care homes, said: “We were surprised to be honoured in this way. “It was unexpected but very nice. “When we got to the church that morning, my first thought was there were a lot of people there. “And when I saw some of our relatives we realised something was going on. 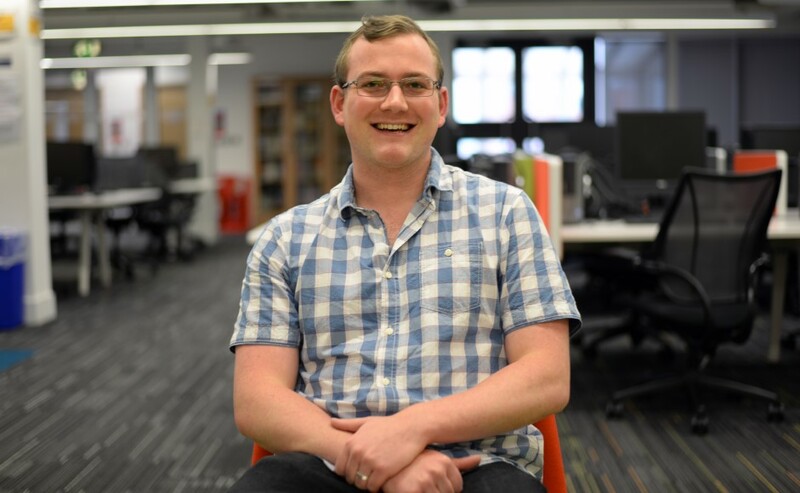 Mr Fucella said: “Even though church in a rural situation like ours can at times be frustrating with very few people to do a great deal of work, the congregation in Black Mount have always approached things with both graciousness and hope. “Don and Alice in particular deserve a big ‘thank you’. “They have served with cheerfulness, often willing to try new things – open to the future God has in store for us.